Ice is essential to practically every foodservice operation. Storing ice is one important component and transporting ice is another. Ice can be heavy in larger quantities. 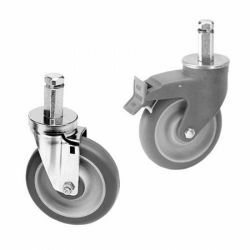 You need equipment that allows you to transport ice safely, easily, all while maintaining sanitary conditions. 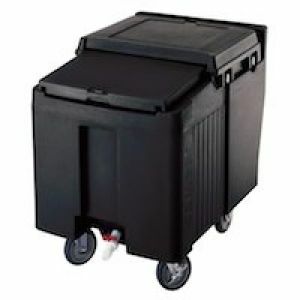 Look at these heavy duty ice bins, made from durable materials and mounted on sturdy casters. 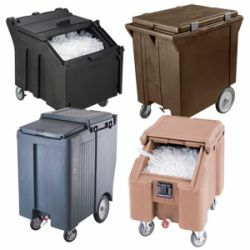 Or consider Ice transport buckets and totes that allow your staff to move medium quantities of ice quickly. Don't arrive at a banquet, catered event, or customer's location with food that is cold when it shouldn't be. 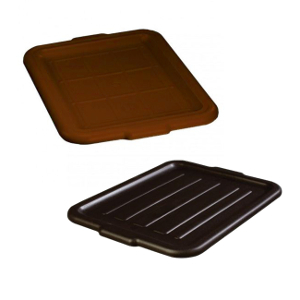 Insulated and heated food pan carriers help you provide your customers and guests with food that is at the proper temperature. 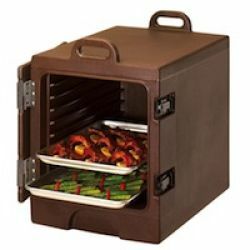 Ensure a positive experience by keeping foods hot and also by preventing the growth of bacteria that can cause illness if food goes below 140 degrees Fahrenheit. 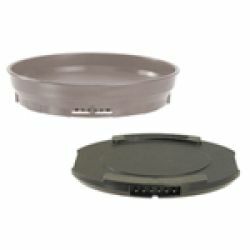 Also included in this group of products are insulated pizza and food delivery bags and boxes. 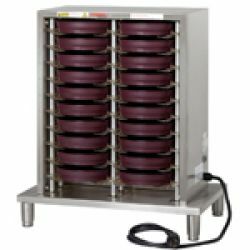 For meal delivery systems, the pellets, chargers, and bases need to be reliable and easy to use. 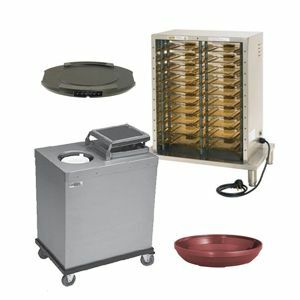 Bring your hot meals to your guests, residents or patients at the proper temperature for the best dining experience. 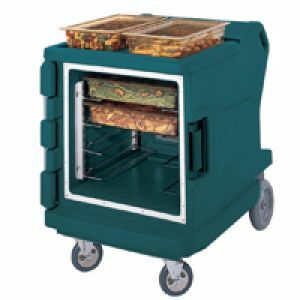 From loaded food boxes and ice totes to insulated food carriers, pizza delivery bags and completed meals ready for delivery, a commercial foodservice establishment requires reliable food transport equipment to move their menu items to the appropriate space in the kitchen, dining room, or catered location. 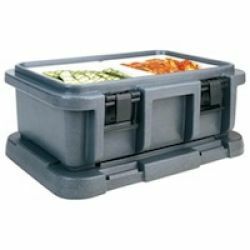 Look to one or more of these restaurant food storage and transport products for the solution to your issues.